DVD: “Interstellar,” “The Imitation Game,” “Salvation Army,” & More! Why Is Out Celeb Designer David Bromstad Working With Antigay Salvation Army? Why Has America (And The World) Stopped Giving The Salvation Army So Much Money? The Salvation Army Owns $4 Billion In Real Estate? 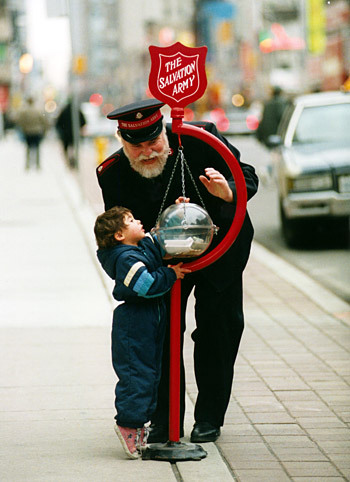 Does the Salvation Army Actually Make the Needy Pray to Jesus For Their Handouts? Can We Forgive the Salvation Army’s Gay Hate If It Does So Much Good?